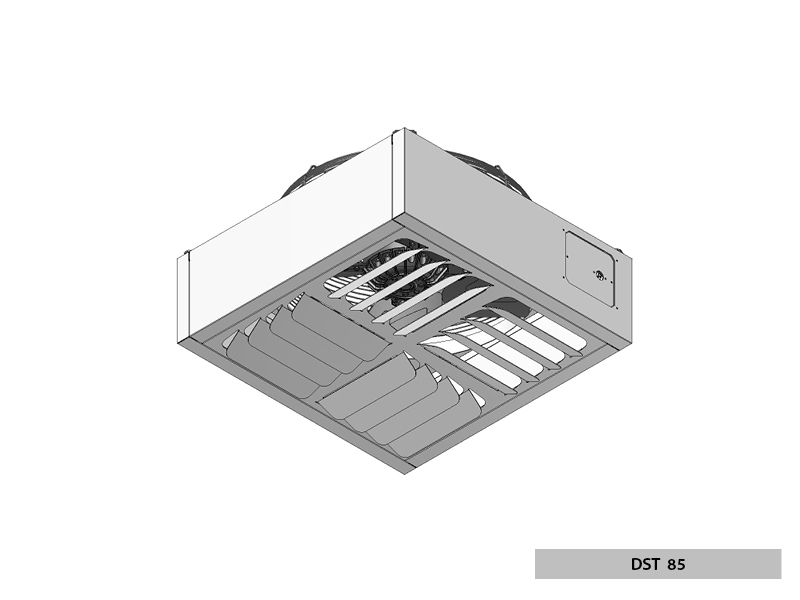 The destratifyer is an appliance that constantly mixes the air contained in a wide environment, in order to keep temperature and humidity to a same level. As everybody knows in heated environments, the temperature under the ceiling is always higher. The need to realize an air mixer comes from the requirement to remove heat and humidity stratification phenomena in very wide environments. Using the heat produced by technological installations, such as ovens, dryers etc. they reduce thermal requirement. Evenly spread the heat all over the environment without creating an irritating draught. In summertime allow to accelerate the change of air, reducing the concentration of smokes and smells. External casing in pre-painted galvanized steel. 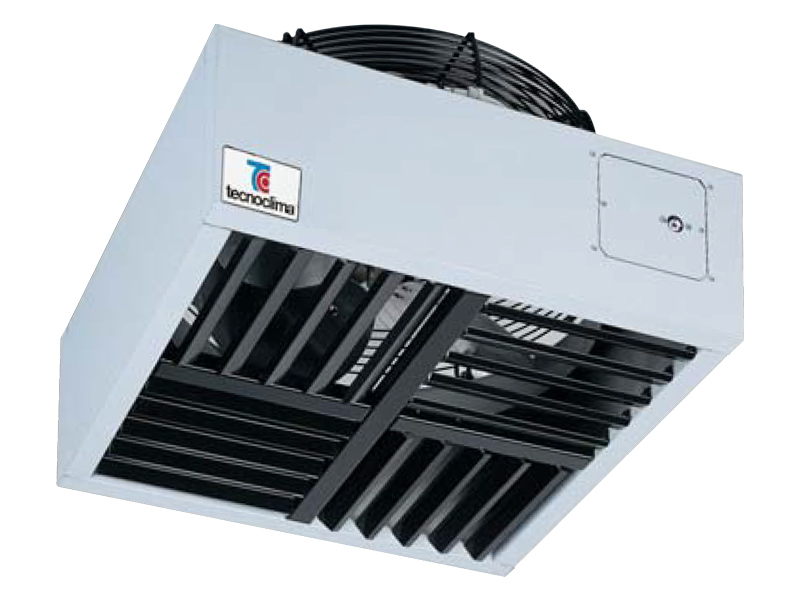 Electric axial fan with aluminium-rotor, three to single phase motor and safety grid. Air delivery opening with individually adjustable fins. Electrical panel with or without thermostat to control the fan automatically (only for destratifyer models with thermostat).